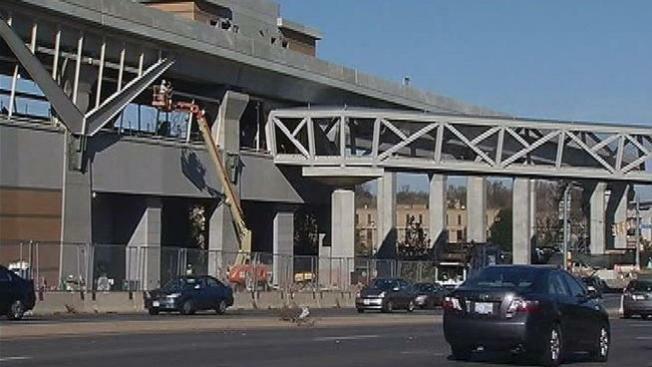 A Maryland-based joint venture has been chosen to design and build Phase 2 of the Silver Line. The Metropolitan Washington Airports Authority awarded the contract to Capital Rail Constructors, a partnership between Clark Construction Group, based in Bethesda, Md., and Kiewit Infrastructure South Co., based in Beltsville, Md. The companies will collaborate on a 11.4-mile-long segment of the Silver Line, which will run from Washington Dulles International Airport into Ashburn. Phase 1 of the Silver Line project, which is more than 90 percent complete, runs from Falls Church, Va., to Wiele Avenue in Reston, Va.
Officials hope Phase 2 will be complete in 2018. Could Silver Line Cause Tysons Parking Problems?